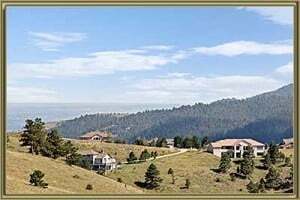 Built between the 1940’s through the 1990’s, Panorama Heights is a friendly community at 7,100 feet in the Rocky Mountains with ½ to 1 ½ acre lots with large decks for taking in the views and entertaining. Homes in Panorama Heights range from 1000 – 4000 square feet and the house styles include 2-story and ranch most with walk-out basements and a 2 car attached garage. The Golden Mountain / Genesee area has miles of open space, abundant wildlife sightings and breathtaking panoramic views of the mountains and city skylines. For the outdoor enthusiast, your needs can be met at Lookout Mountain Nature Center and Preserve, Apex Park and Genesee Park for hiking, mountain biking, horseback riding and camping. Homes for sale in Panorama Heights are an easy commute to the slopes, Evergreen, Metro Denver area and the Denver Tech Center. See what your home is worth With an Instant Home Valuation Online. Want advice on selling your house? We provide a free staging consultation, pre-listing prep plan, and Panorama Heights real estate market analysis. Call us at 303-325-5690 to learn more. New to the Area? Call our Panorama Heights real estate agent at 303-325-5690 to schedule your tour of Homes in Golden Mountain CO.